Seventy-nine Libyans have died this week from drinking homemade spirits in the conservative North African country where alcohol is illegal. 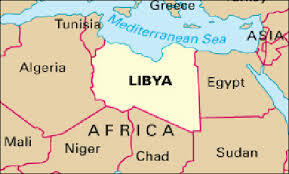 Libyan officials suspect that the homemade liquor contained methanol, and said many of those who survived drinking it were blinded, according to the Associated Press. Methanol poisoning is infrequent in the U.S., but it can be deadly if it’s not treated, said Dr. Donna Seger, the executive director of the Tennessee Poison Center and a professor at Vanderbilt University. She said she only sees methanol poisonings a few times a year, and that it’s often not from drinking homemade liquor, but rather because children can get into things like windshield wiper fluid, antifreeze and paint thinner. There are two antidotes to methanol poisoning: fomepizole, which was approved by the FDA within the last 15 years, and ethanol, which is the kind of alcohol found in safe-to-drink liquors, Seger said. Before fomepizole was available, it was necessary to treat methanol poisoning patients with intravenous drips of ethanol, which, yes, would get them drunk. “There’s nothing worse than a drunk 2-year-old,” said Seger, remembering a two-year-old who had to be treated for methanol poisoning before fomepizole was available.